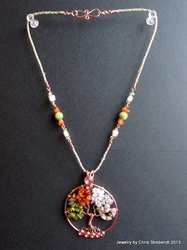 A collection of jewelry pieces and sets, already sold or given. 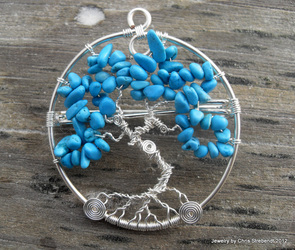 Every bit hand-made by Christopher Strebendt. Accompanying artwork by Kira LaRose. 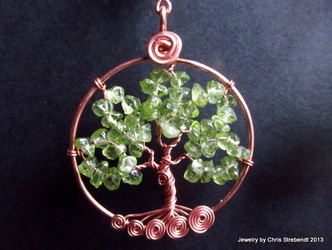 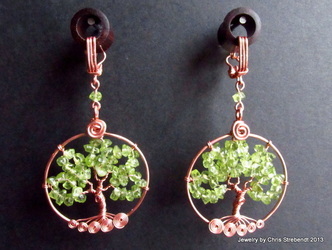 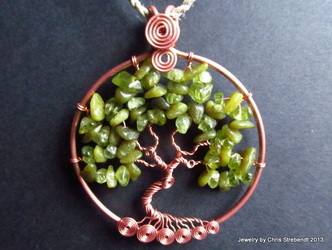 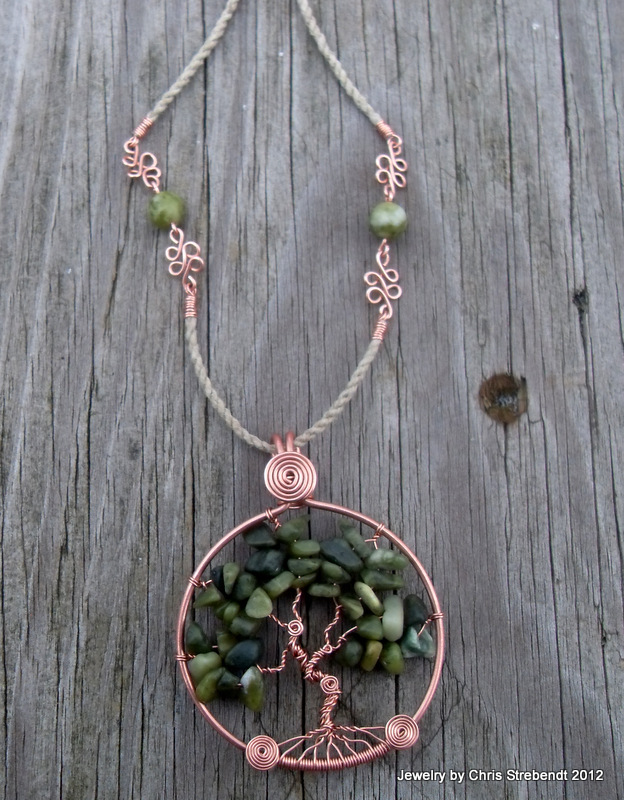 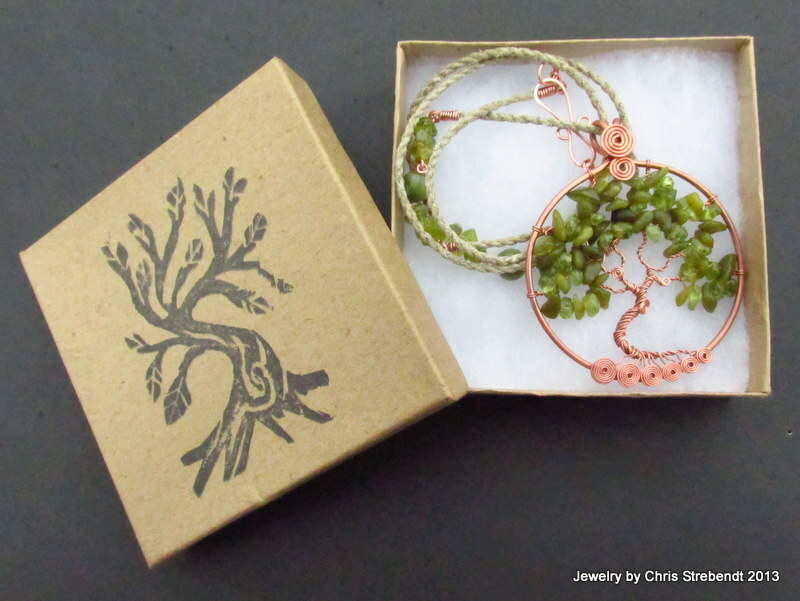 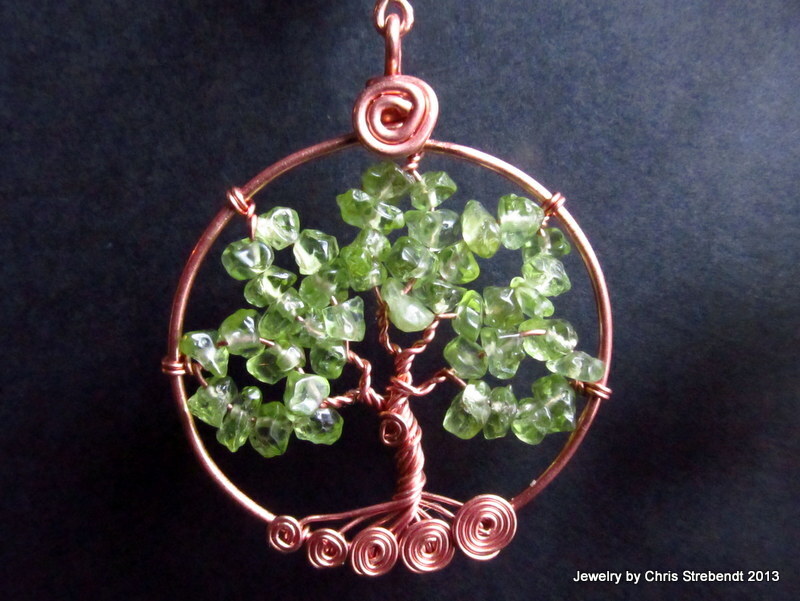 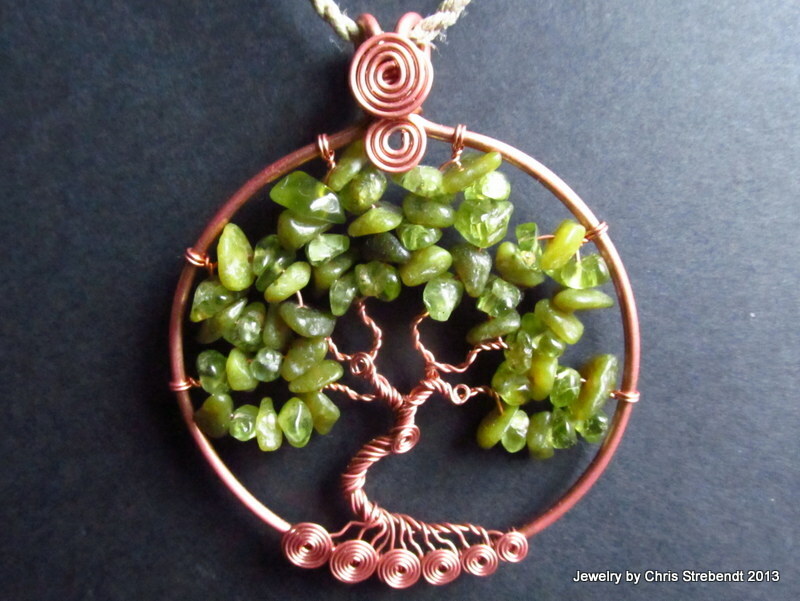 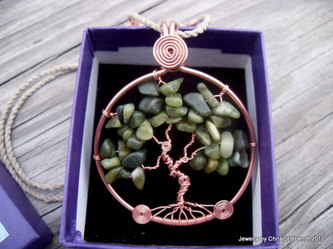 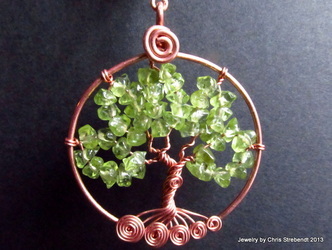 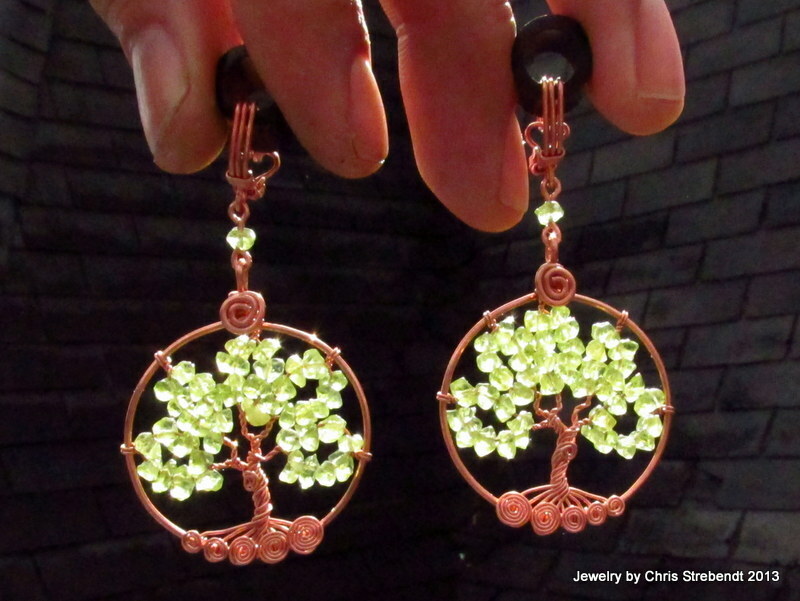 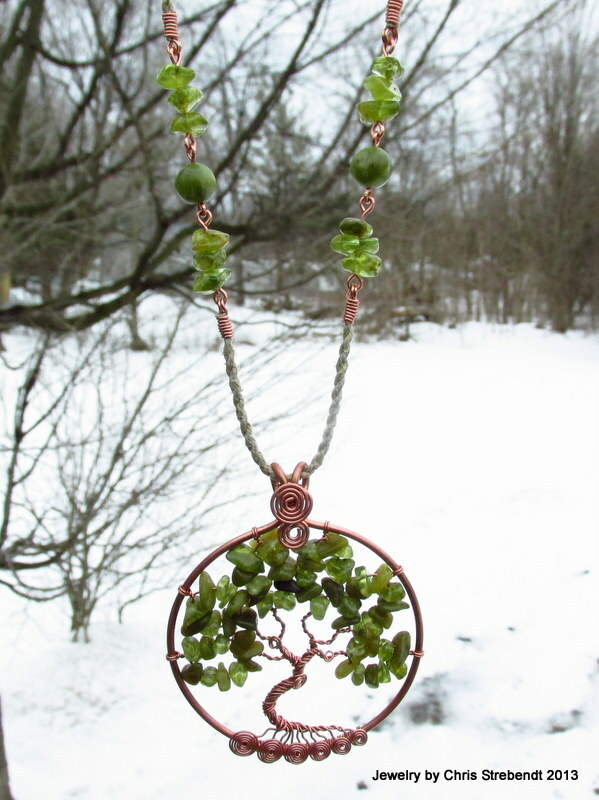 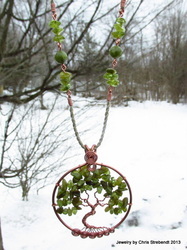 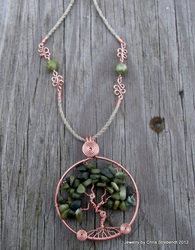 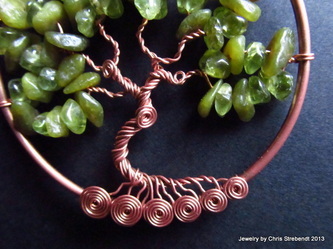 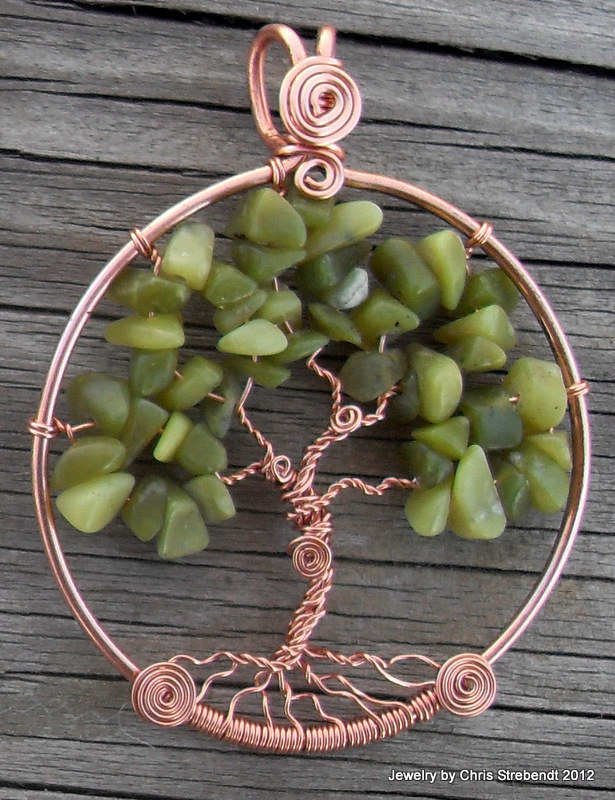 Custom Peridot and Copper Tree of Life Dangles on custom designed/made hangers that hang from 00g wood tunnels. 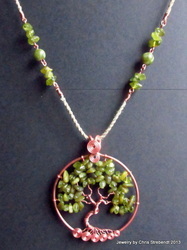 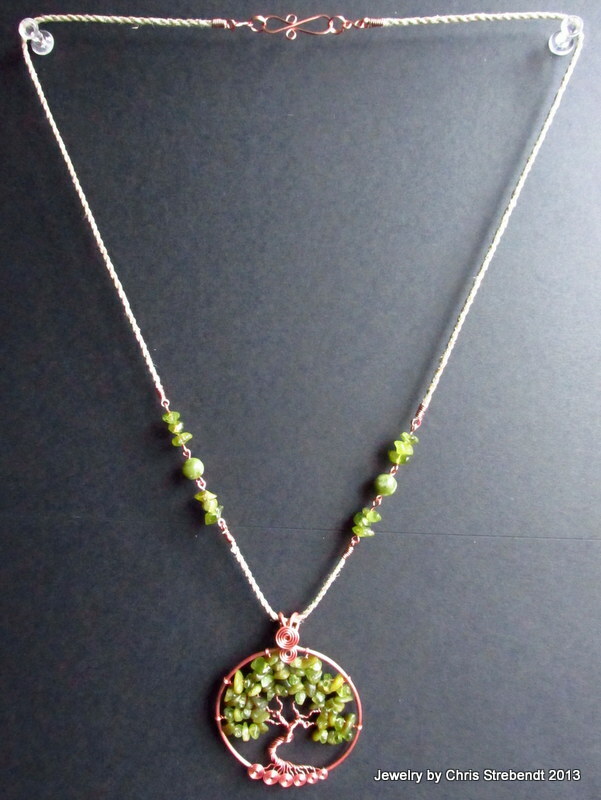 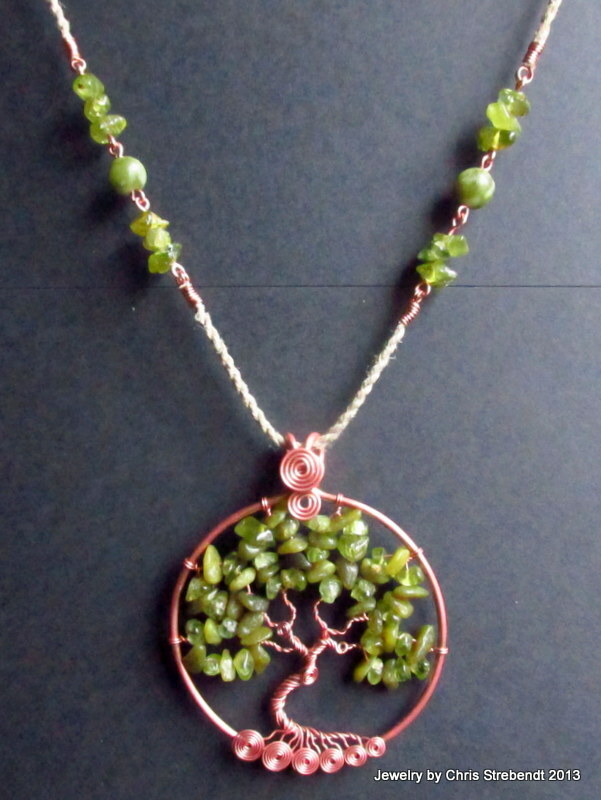 Peridot and Serpentine on copper wire. 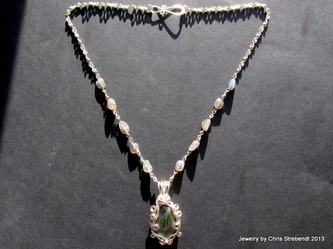 Cord is hand twisted hemp with peridot and serpentine beaded links, and has a hand formed and hammered "S" clasp. 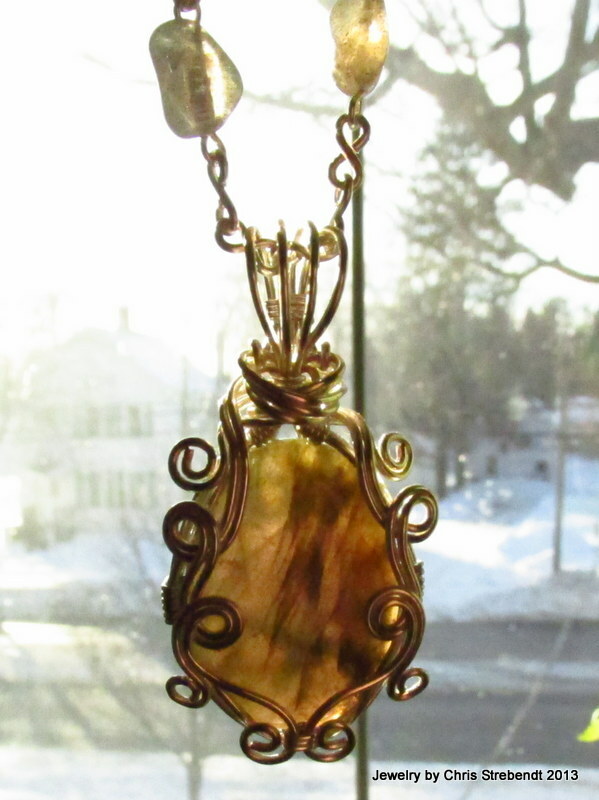 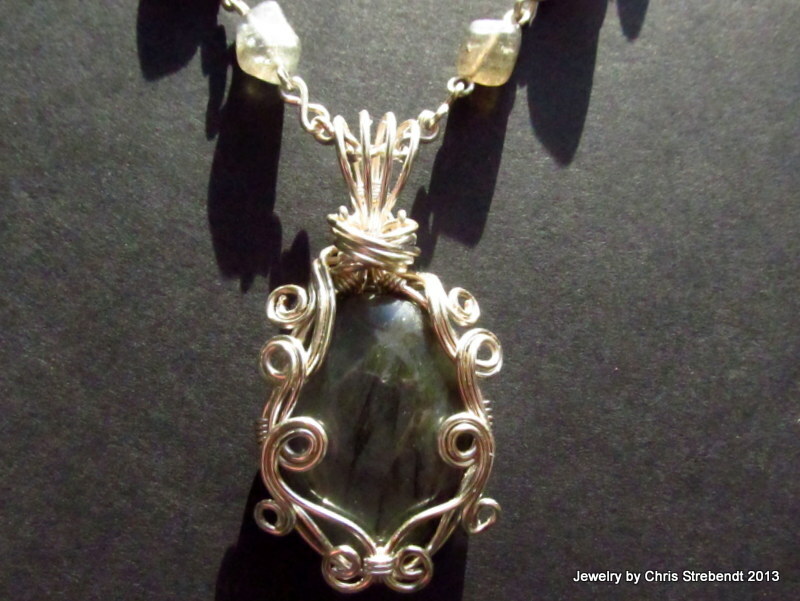 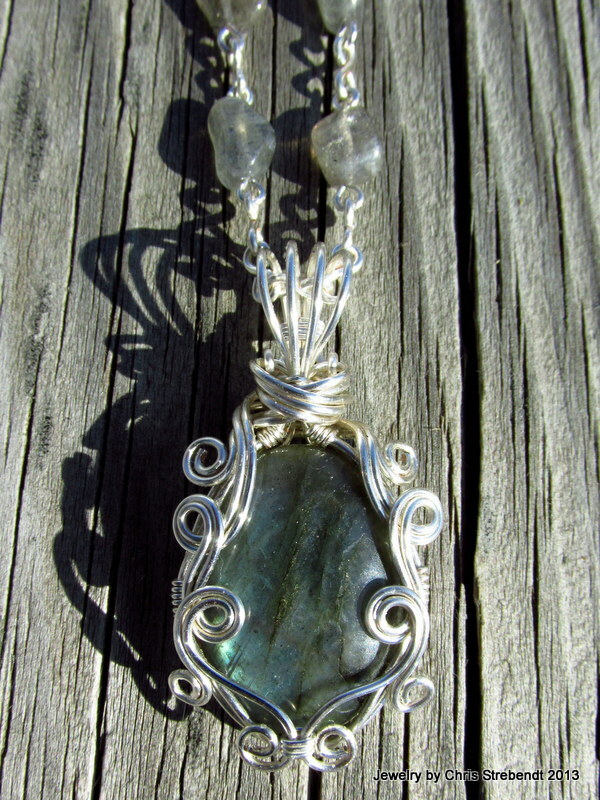 Labradorite cabochon wrapped with sterling silver plated copper wire. 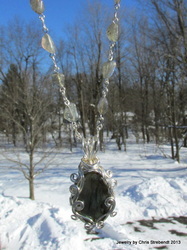 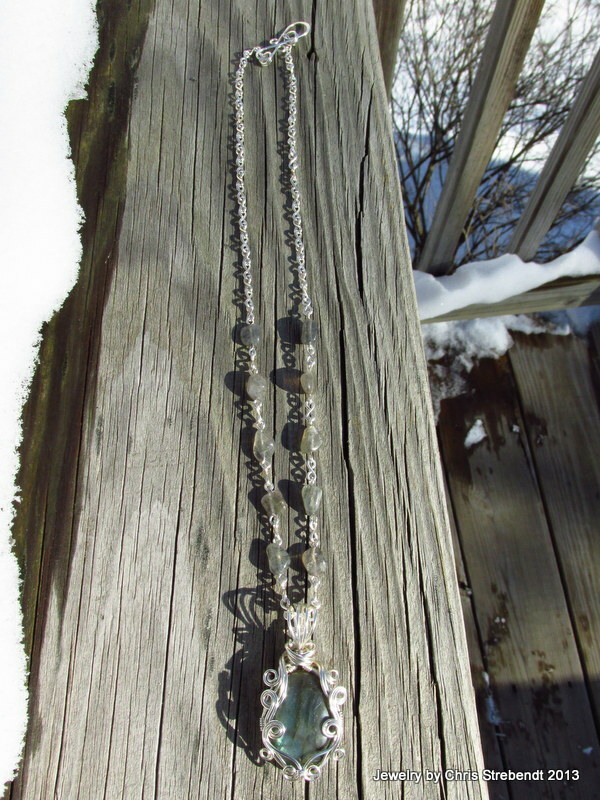 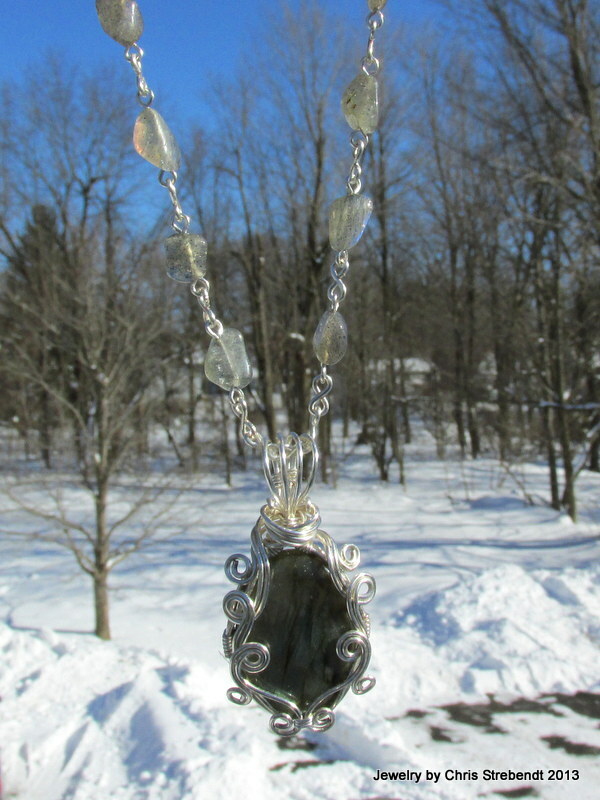 Chain is handmade, and has labradorite beaded links and a hand formed and hammered "S" clasp. 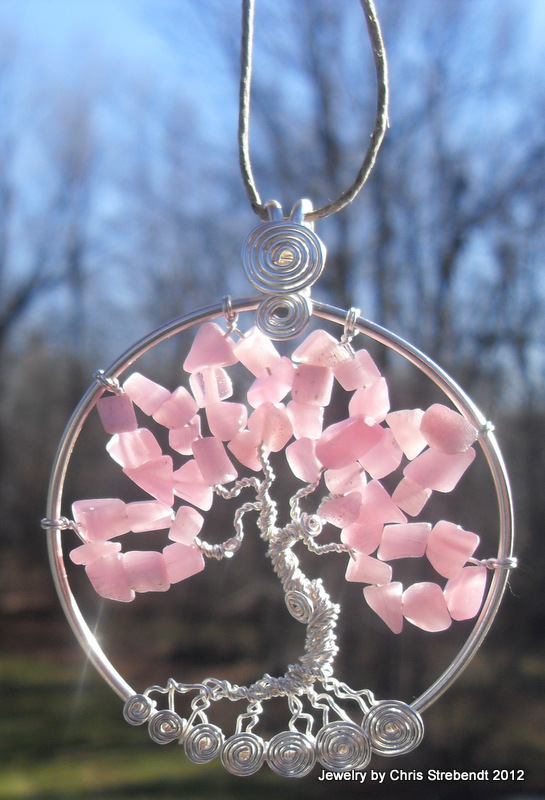 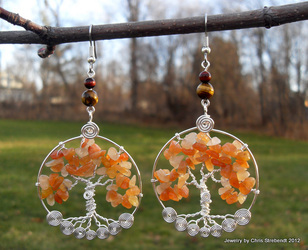 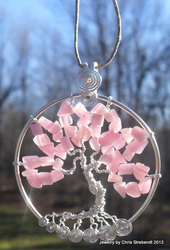 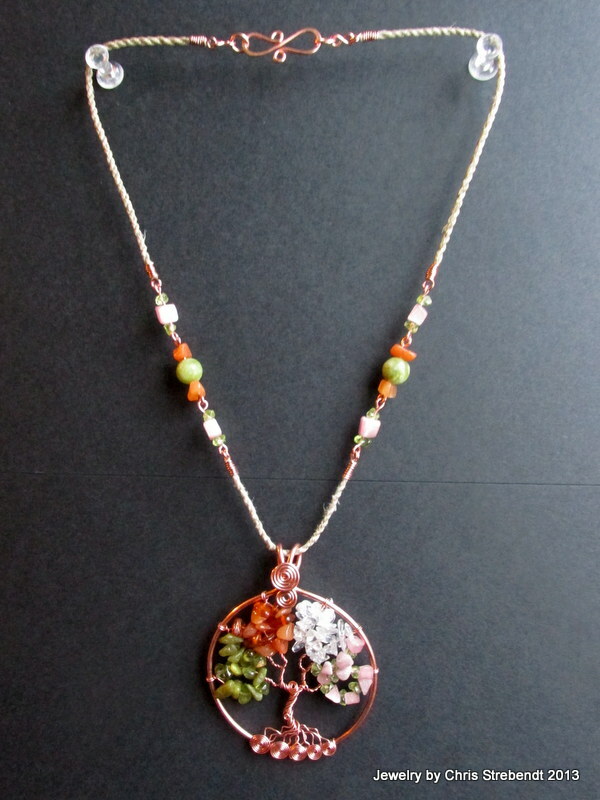 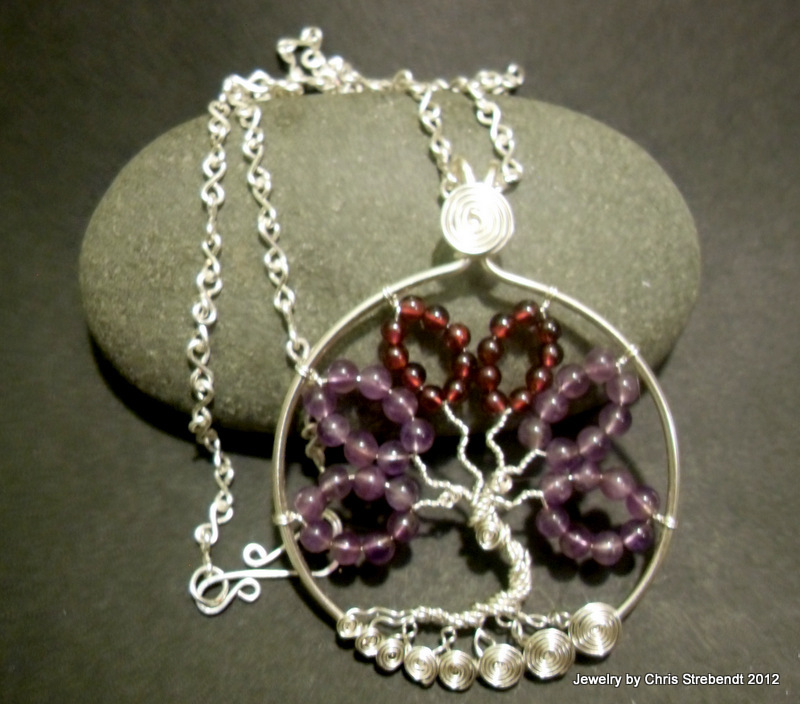 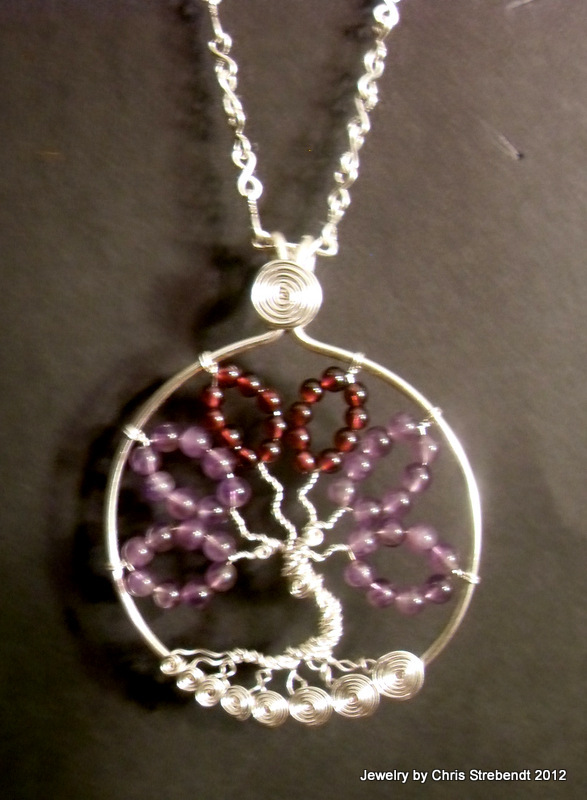 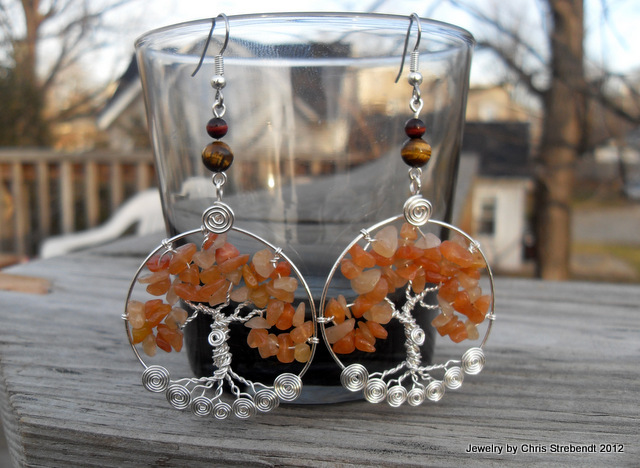 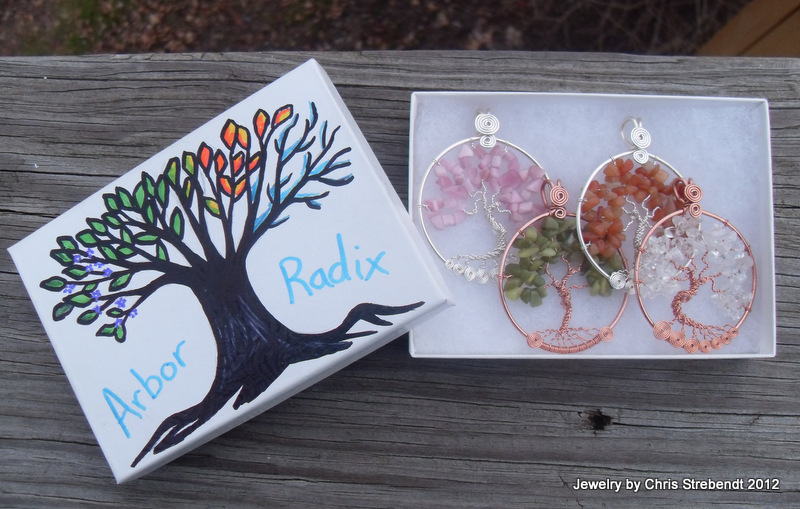 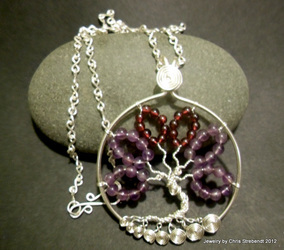 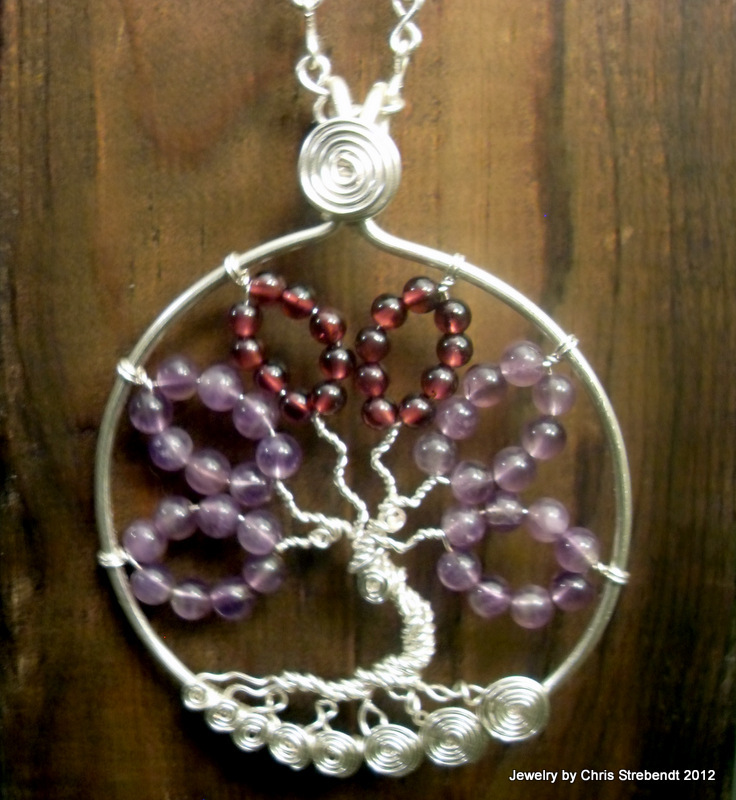 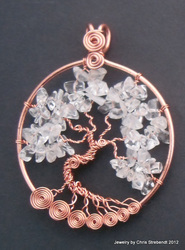 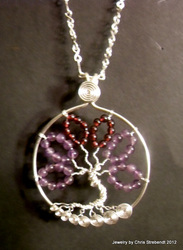 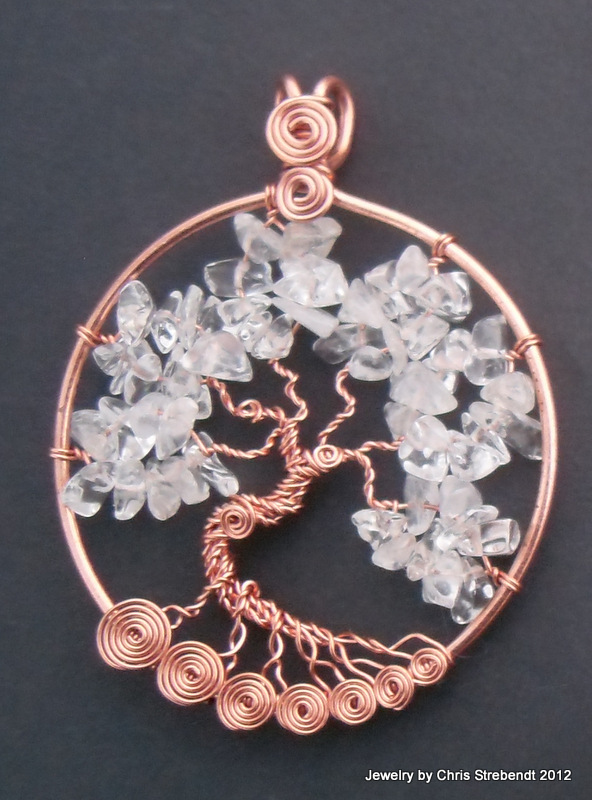 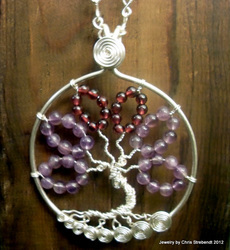 These beautiful trees are red Adventurine on sterling silver plated wire. 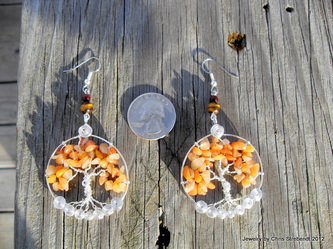 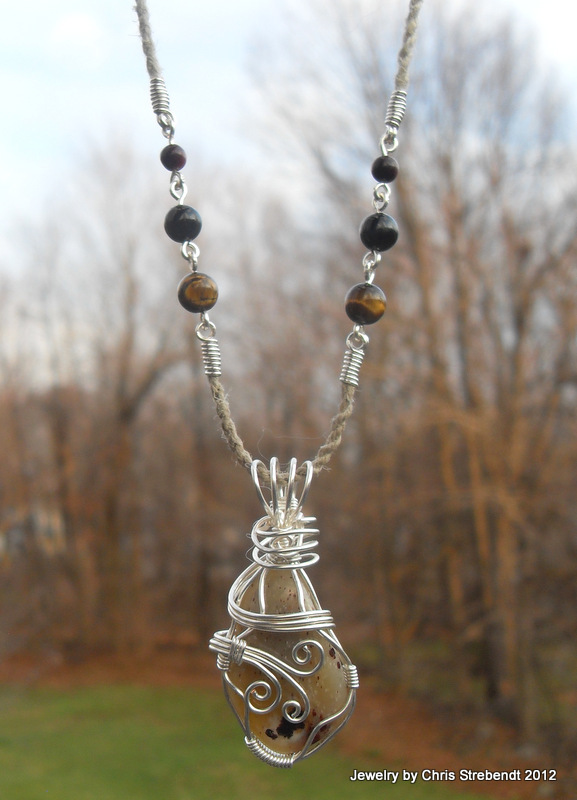 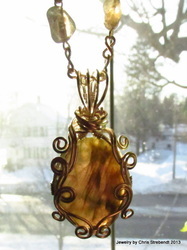 Above the trees are red and yellow Tiger Eye stone beads on silver plated links. The ear hooks are 21 gauge hypoallergenic surgical steel. 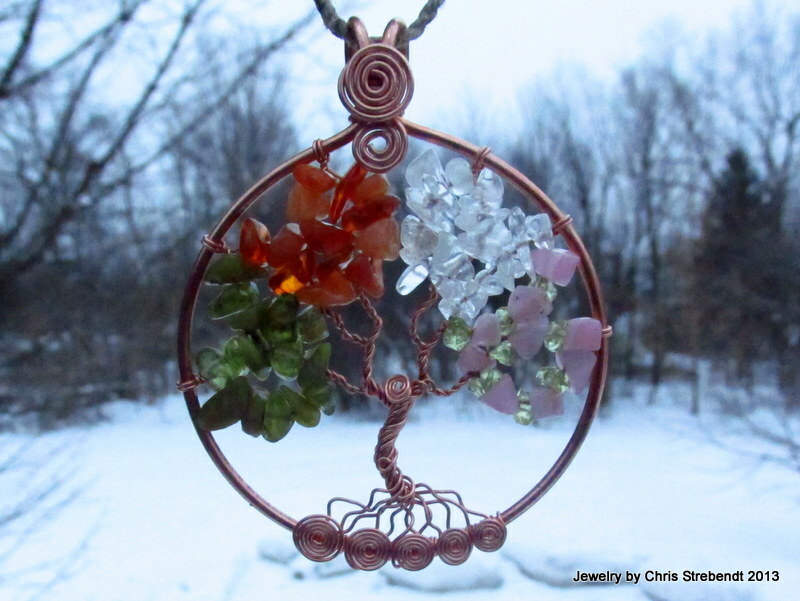 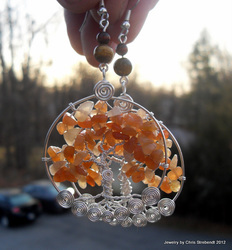 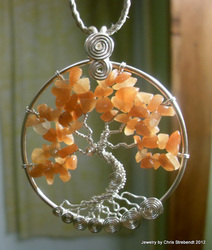 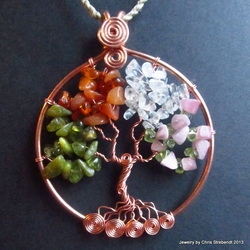 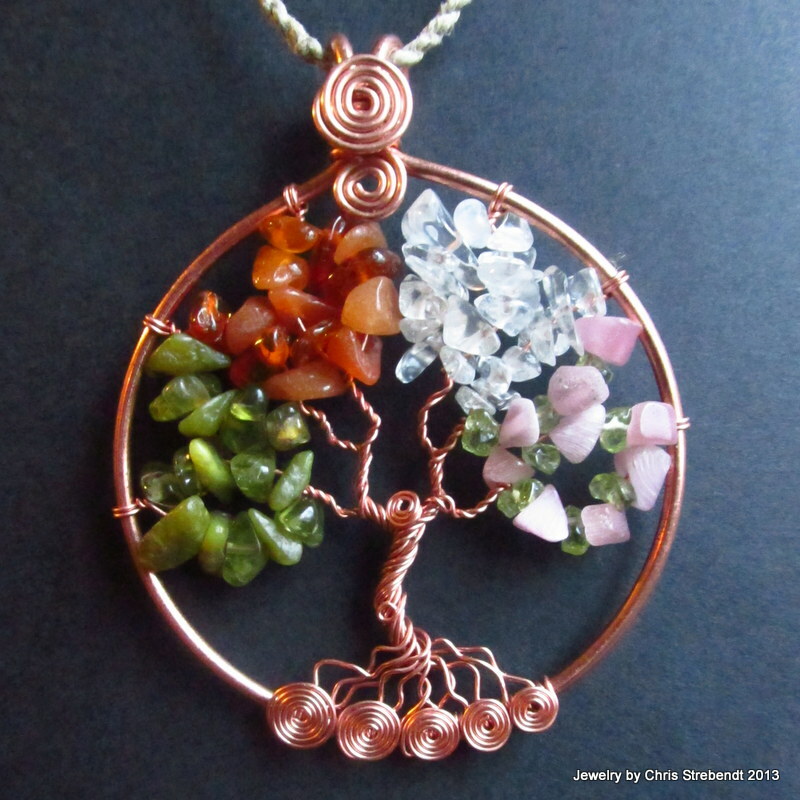 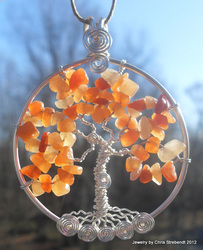 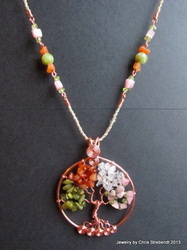 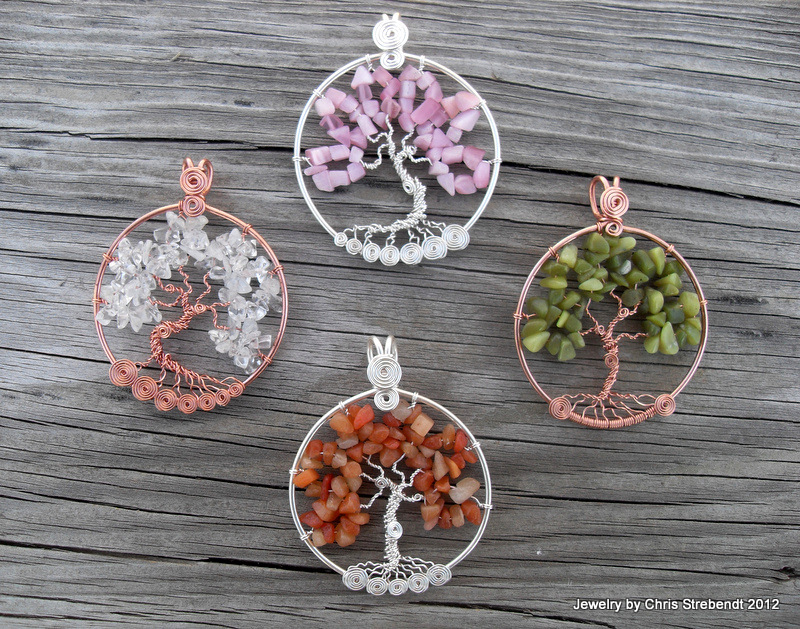 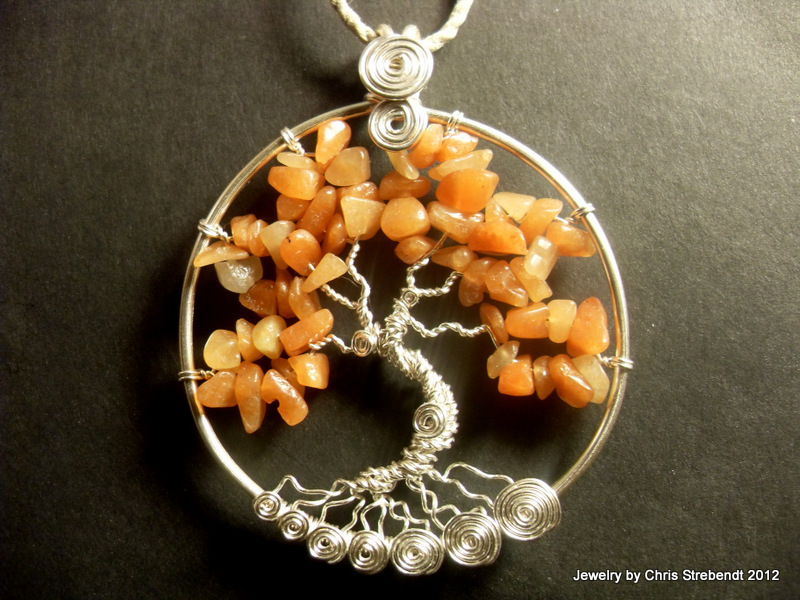 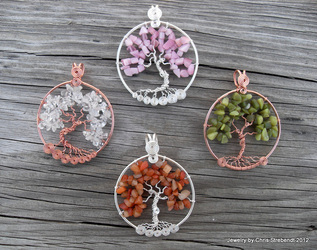 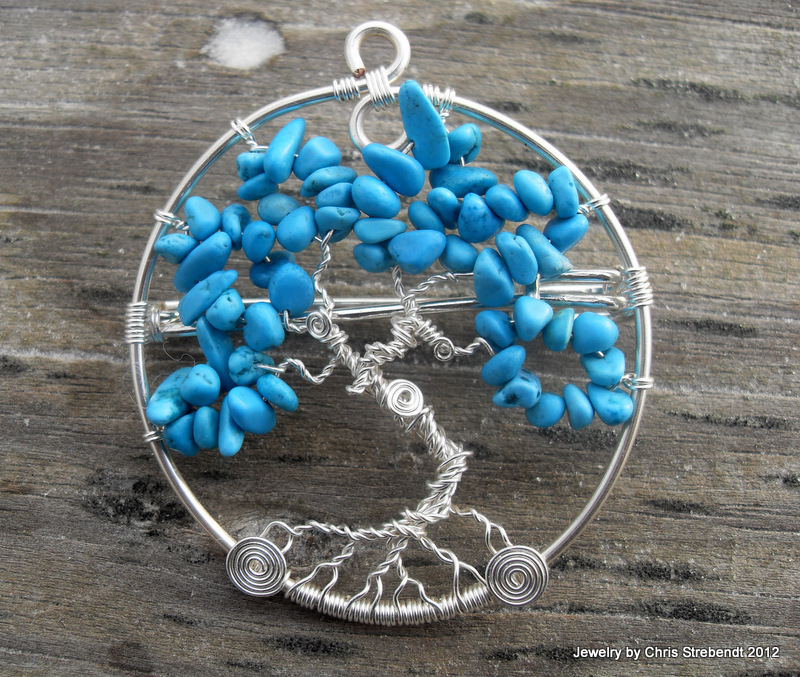 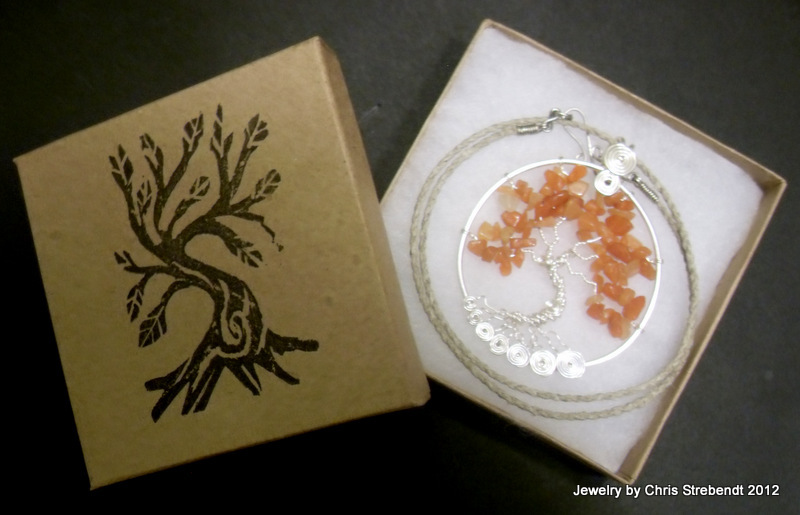 4 beautiful handmade tree pendants representing the 4 season of the year. 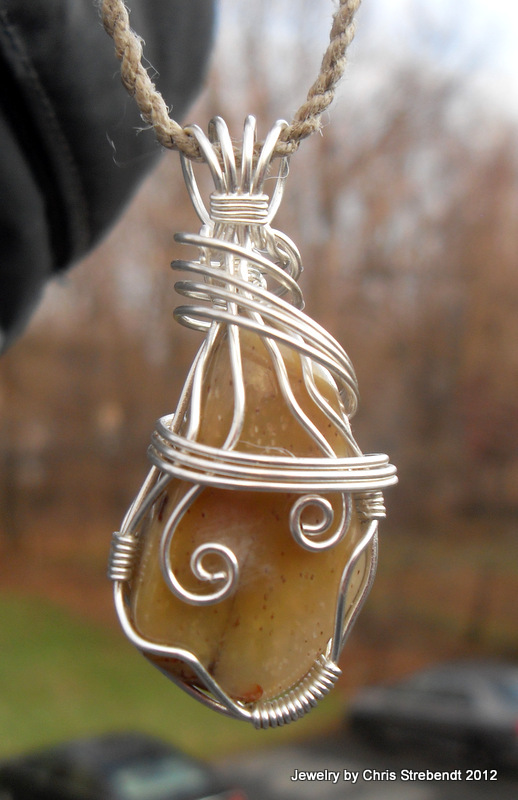 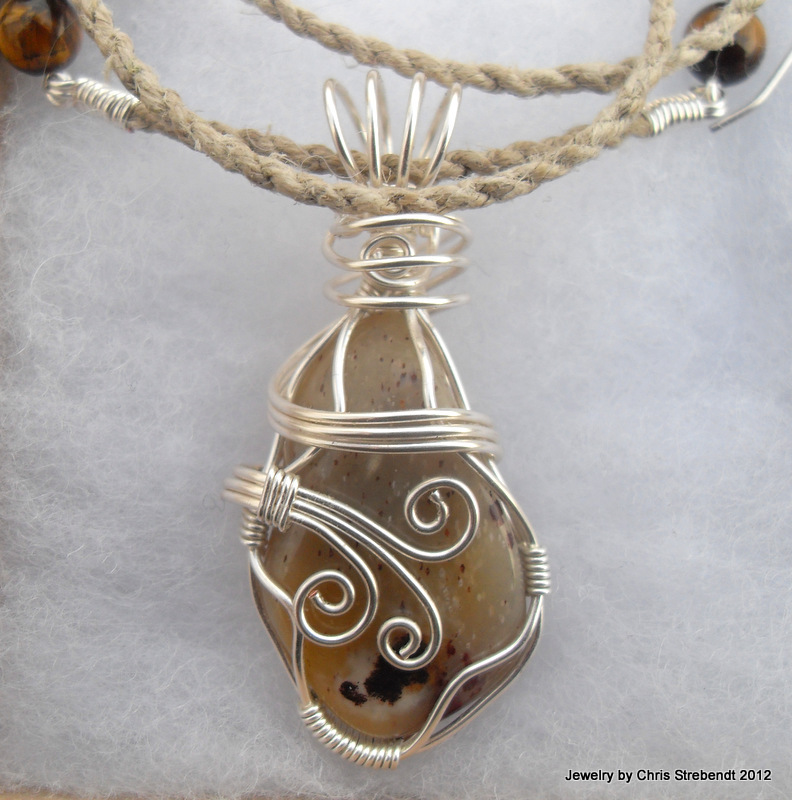 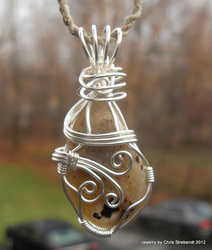 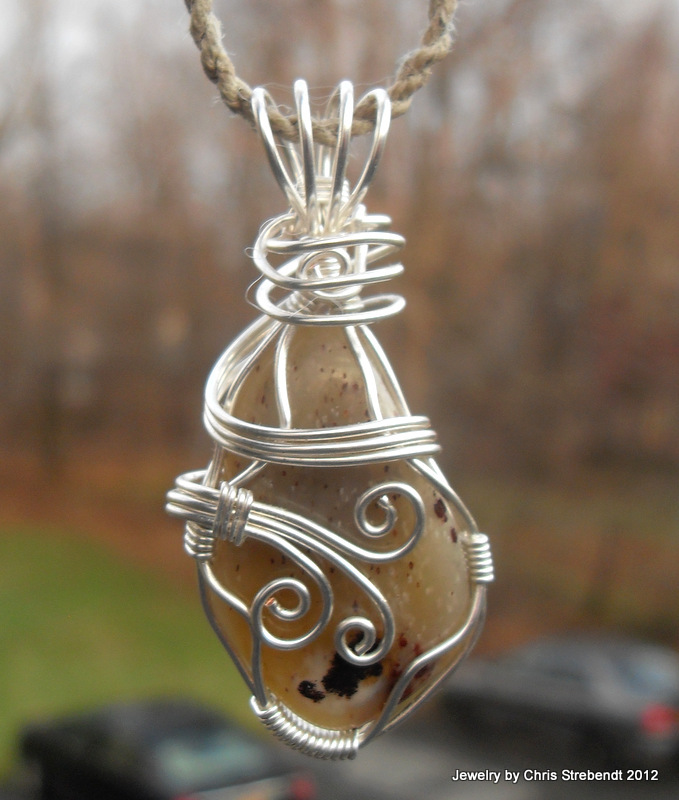 Petrified wood wrapped in sterling silver plated wire. 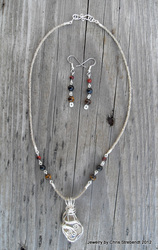 Cord is Hand twisted hemp, wire wrapped, with red, blue, and yellow tiger eye stone beads on sterling silver plated chain links. 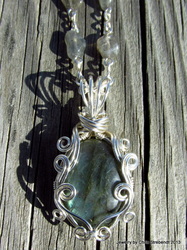 Clasp is a hand formed and hammered "S" clasp, and is also silver plated. 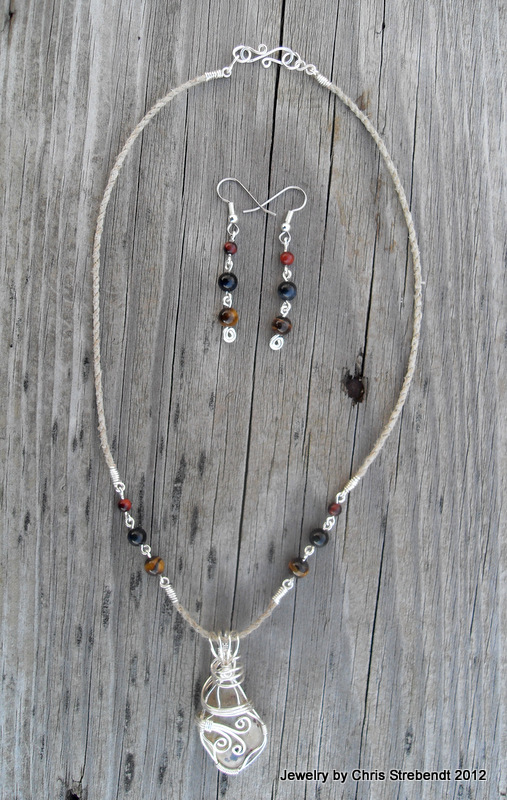 Earrings are red, blue, and yellow tiger eye on Sterling silver plated links. 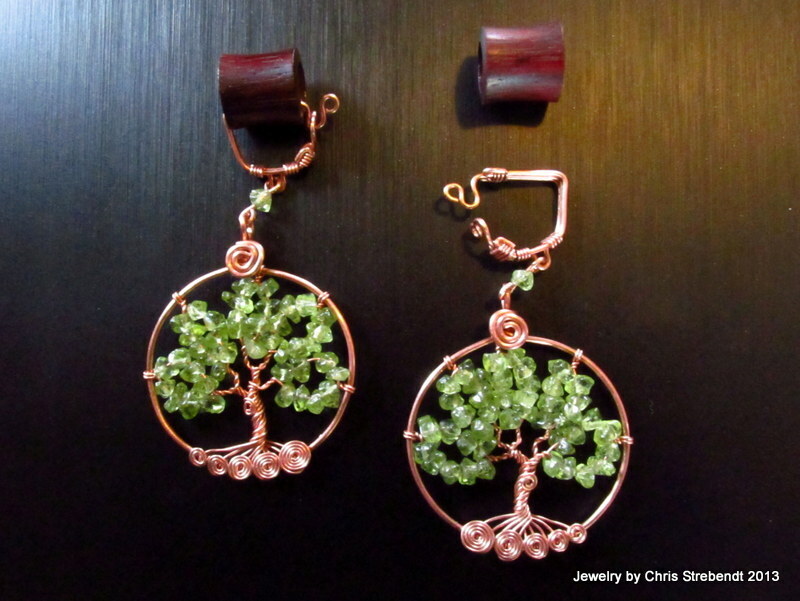 Ear hooks are 21 gauge surgical steel. 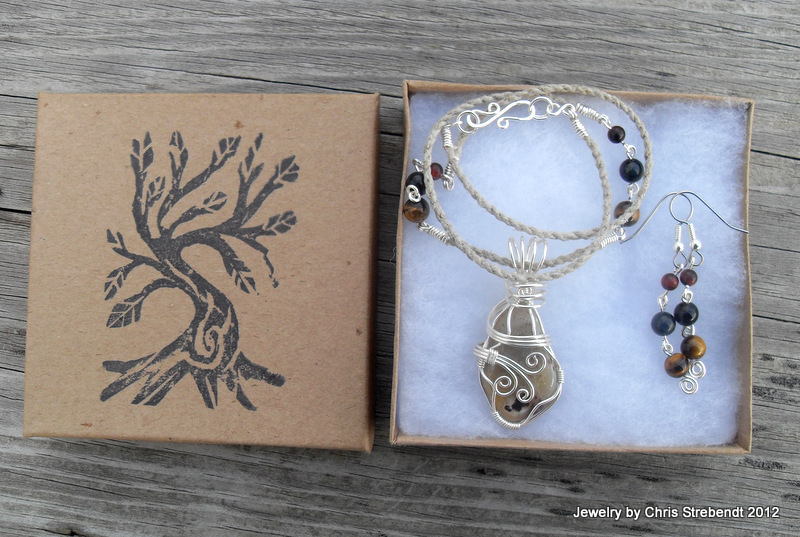 Recycled material box with Arbor Radix stamp in black. 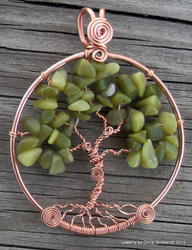 Green serpentine on pure copper wire. Cord is hand twisted hemp, wire wrapped, and has serpentine stone beads on copper links, as well as copper Celtic knot links. 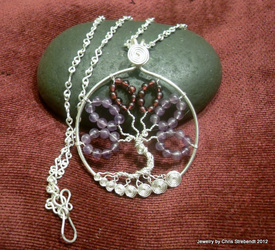 Cord terminates in a hand formed and hammered "S" clasp. 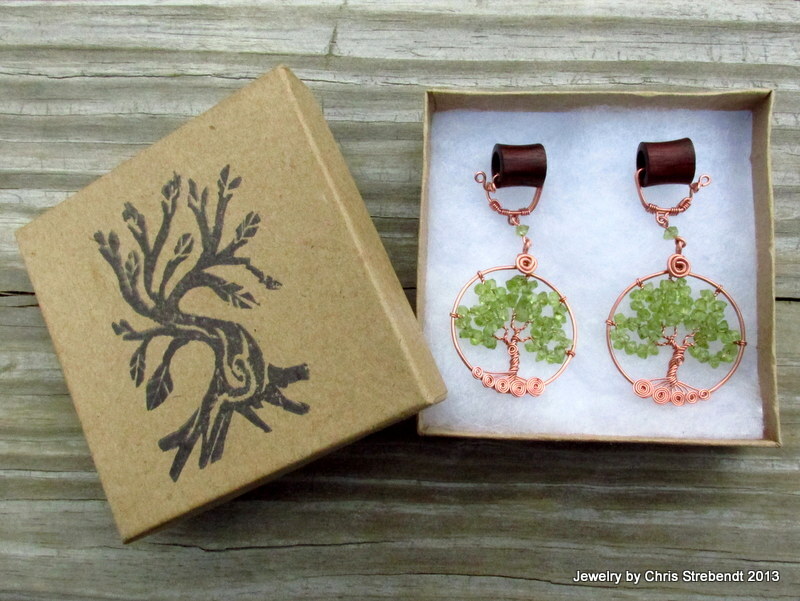 Gift box is decoupaged with textured fabric leaves and glossy craft paper. 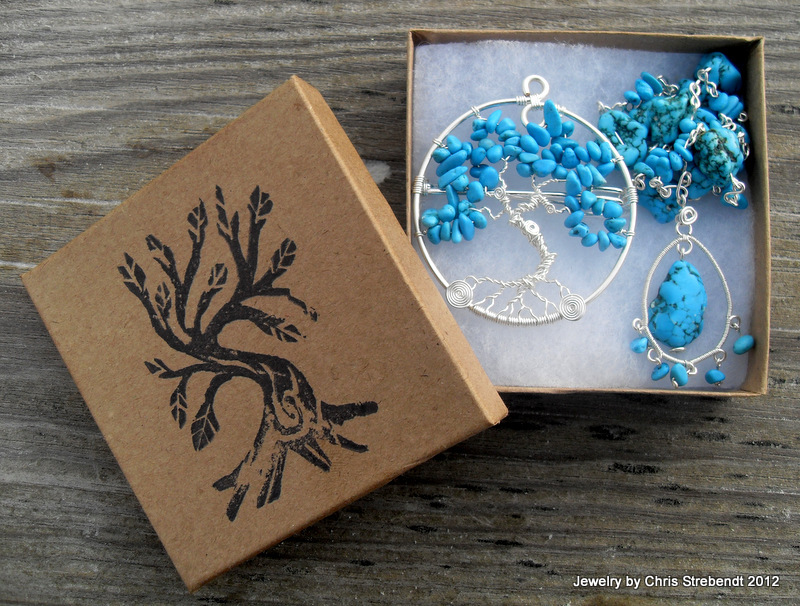 Turquoise tree of life pin, and turquoise beaded chain necklace with chandelier style pendant, and a hand formed and hammered "S" clasp. 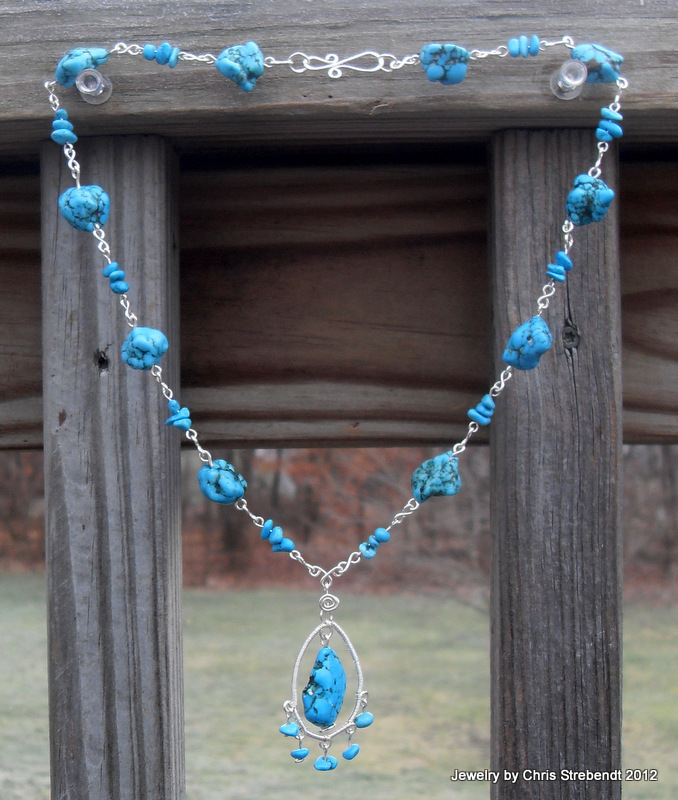 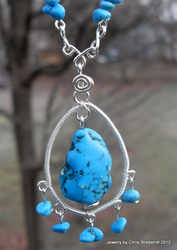 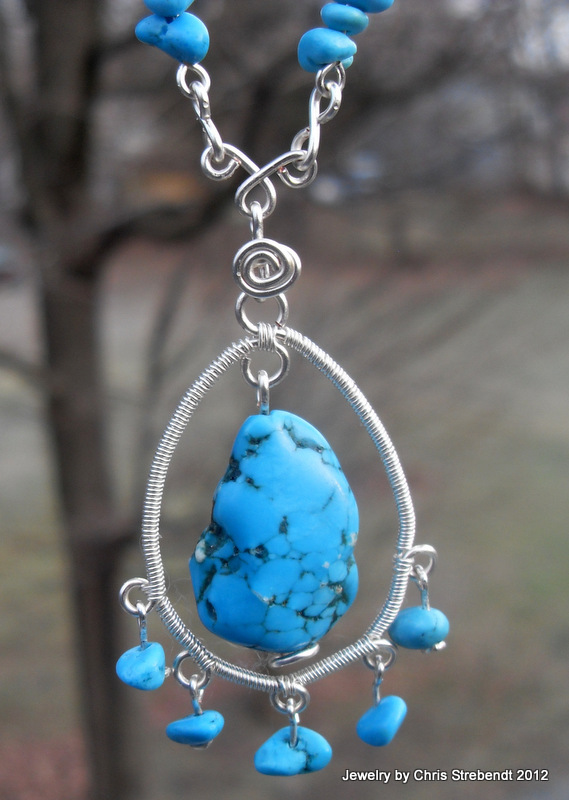 Entire set is made from turquoise stone beads and sterling silver plated wire. Recycled material gift box with Arbor Radix stamp in black. 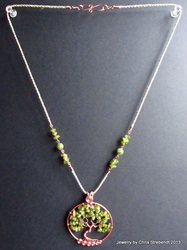 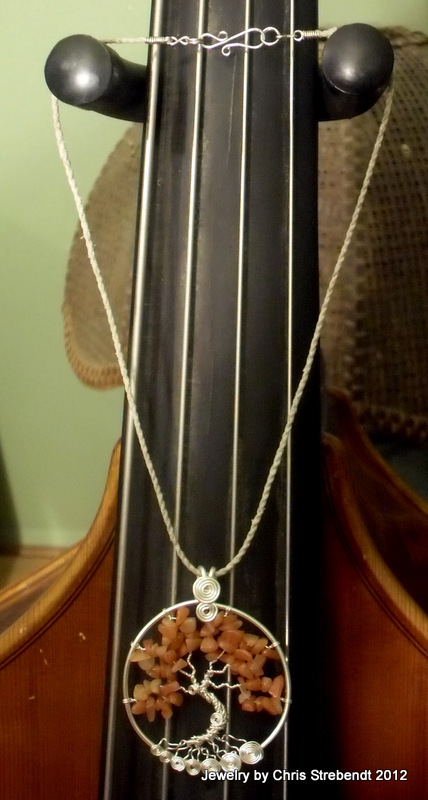 with a hand formed and hammered "S" clasp. 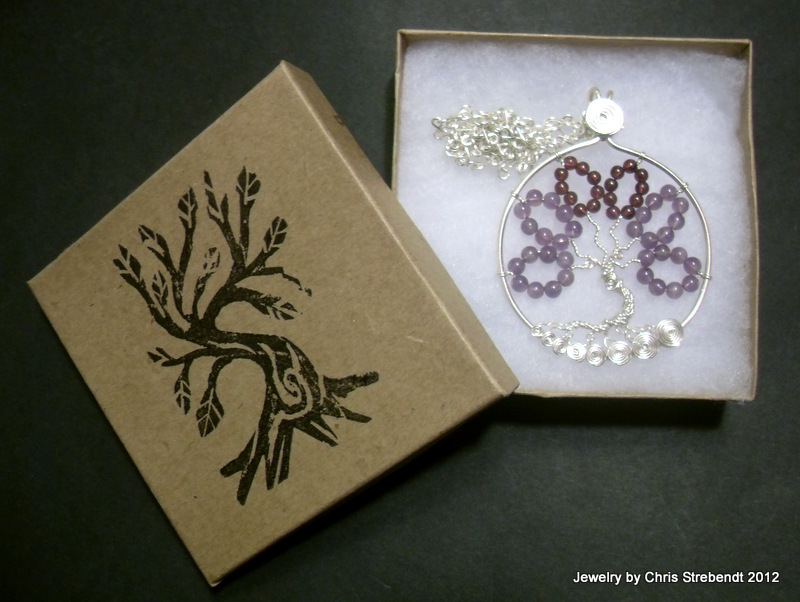 Recycled material gift box with Arbor Radix stamp in black. a hand formed and hammered "S" clasp. 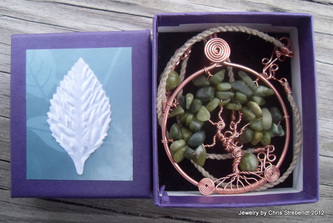 Recycled material gift box with Arbor Radix stamp in black.